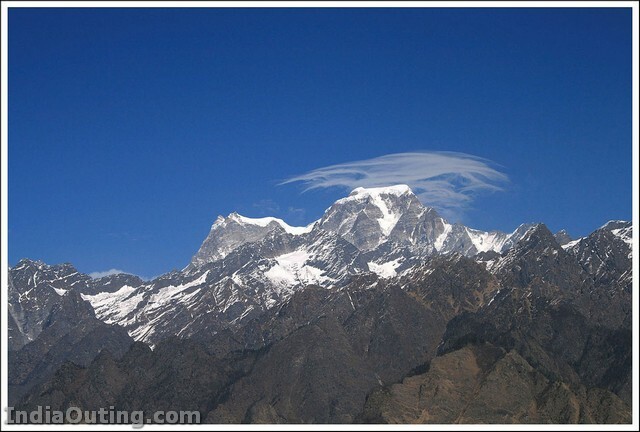 Auli is a city in the Indian state of Uttarakhand. Auli is nestled in the lap of snow-capped peaks of Garhwal Himalayas, in the Chamoli district of Uttarakhand, near the world famous religious shrine of Badrinath. At an altitude of 2,500 to 3,050 m above sea level, Auli’s well-dressed slopes are flanked by coniferous and oak forests, which offer a panoramic view of mountains. If you are out for adventure, fun and frolic this winter, find yourself in Auli, in the vicinity of the mountain peaks Nanda Devi and Mana Parbat. Feel the rush of air on your face, blaze a defiant trail as you go skiing on the well-dressed snow slopes. Or pelt each other with snow-balls on a blanket of snow. And if you’re a lover of natural splendor let your eyes feast on the breathtaking view of snow-capped peaks all around you. Best Way: The best way to travel will be to take overnight train from Delhi and have a cab pick you up from Haridwar in the morning for onward journey to Auli. By airFor those travelling by air, the nearest airport is Jolly Grant, Dehradun, 273 km from Joshimath, 17 km from Rishikesh. By railComing from any part of India, the nearest rail head is Haridwar 299 km from Auli. Catch a train to New Delhi Station. From New Delhi one can catch a train for Haridwar. It takes more than 7 hours to reach Haridwar (Shatabdi/JanShatabdi takes 6 hours). 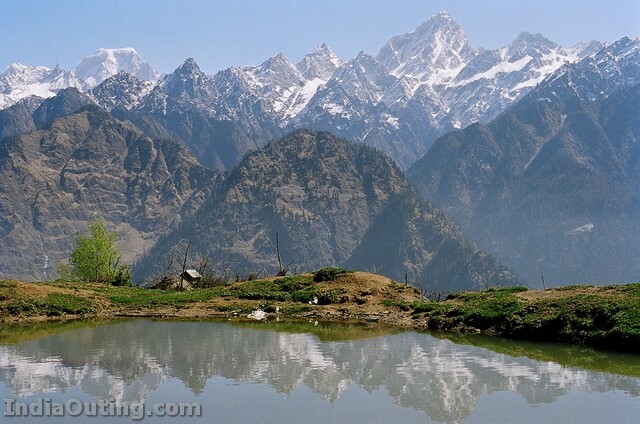 By roadAuli is only 13 km drive from Joshimath. State transport and Union buses play regularly between Joshimath and Rishikesh (253 km). Local Transport Union Buses and State Transport buses operate between Joshimath and Rishikesh (253 km), Haridwar (277 km), Dehradun (298 km) and Delhi (500 km). 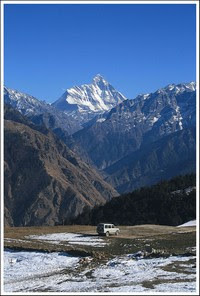 From Joshimath onwards, both bus and taxi services are available for Auli. Deluxe coaches can also be arranged with prior notice for the group of 15 people or more. If you are dropping at New Delhi and want to go by Bus then take a Metro Train to ISBT – Kashmere Gate. From there one can catch Bus of DTC/UPSRTC/UTC. Only problem is that there are no fixed timetable and every person incharge will promise you many things. Don’t fall in the trap of private tour operator. They all will say bus is just leaving and what not. So be prepared for confusion. You may loose your temper. Check the bus condition before boaring as road from New Delhi to Haridwar is long [7-8 hrs] and some patches are in very bad conditions, comfortable seats are must. Once you are at Haridwar stay overnite and catch a bus leaving bus stand opp rly station at around 3:30AM. This bus is the only mean to reach Joshimath in 10+ hrs if you are planning to catch Cable Car (last ride 3:30PM). Other option is to book Car from the Car Union Off opp Bus stand they normally charge 3000+ for Joshimath Dropping for Ambassador which is best for 4 people. Whether in bus or car pls sit on right hand side window for magnificent view, road to Joshimath runs parallel to holy river Ganga and Alaknanda which falls on right side. 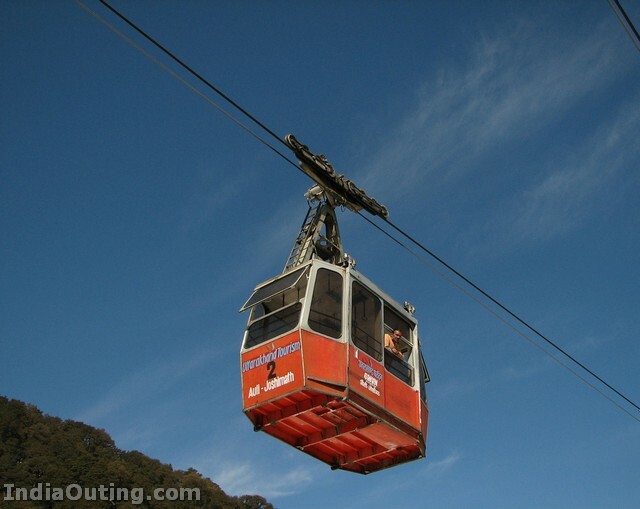 Cable Car : The most popular way to drop in at Auli is by the famed cable car service which runs for 3 km. Travelling by the rope-way, it is impossible to resist the captive beauty of the snow covered peaks, the alpine forest and the bracing climate. This cable holds a record of longest in Asia with total length of 4.15 km. Its lower tower is at 1906 m from MSL and the upper tower is at 3016 m. It takes around 15 minutes to complete this ride at speed of 5 m/sec. Its the best start one can have for exciting Auli trip. Charges are Rs 400 for Return. 16 km from Joshimath and accessible by a good motor able road, is the ideal ski resort of Auli with its slopes comparable to the best in the world. The resort is run by GMVN, which, apart from providing accommodation also provides all facilities for skiing. The season extends from January to March, during this time skiing festivals and the National Championships are held. The Auli slopes, descending from 3049 to 2915 m are flanked by stately conifers and oaks, which cut wind velocity to the minimum. Adding to the thrill of skiing is a 180 degree view of Himalayan peaks, which include Nanda Devi (7817 m), Kamet (7756 m), Mana Parvat (7273 m) and Dunagiri (7066 m), seemingly only snowballs throw away. 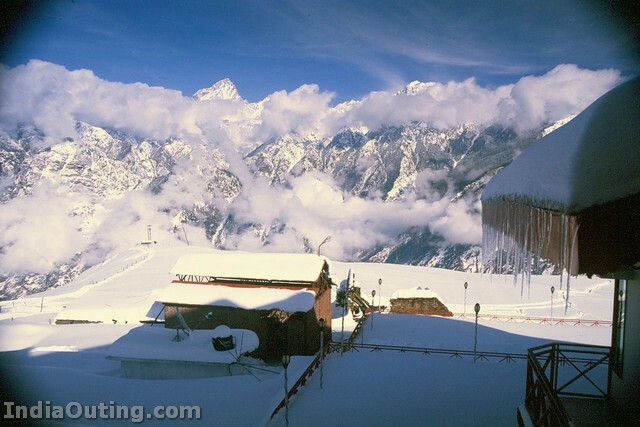 The conditions for skiing are perfect at Auli. A 500 m long ski-lift and an 800 m long chair-lift link the upper and lower slopes, and snow beaters and snow-packing machines maintain the smoothness of the slopes. Skiers can enjoy almost 20 km of virgin slopes, which provide excellent opportunities for cross-country, slalom and down-hill skiing events. Auli has now become a leading tourist spot. While its slopes beckon daring and gallant skiing enthusiasts, its pristine natural beauty and its alpine atmosphere lure many tourists. A haven for those who want to escape the humdrum of everyday life, conquer their fear of heights, savour nature in its purest form or just throw snowballs at each other. Tourists are advised to bring woollen clothings, cap, socks, dark glasses, gloves, mufflers, pullovers, wind-proof jacket, gum / snow boots and a torch light. These accessories are a must for the tourist keeping in mind the weather conditions at Auli where the temperatures drop to as low as -8° C in winters although it is moderately cold in the summers. Training courses are conducted in modules of 7 and 14 days. Training is imparted to the enrolled persons in modern skiing techniques by qualified instructors from Skiing and Tourist Resorts, Auli and Indian Institute of Skiing and Mountaineering, Gulmarg. Best Option for those who want to learn basic skiing and save money enroll with the GMVNL basic course as the cost of the package is inclusive of Chair Lift + Accommodation + Food+ Gear. It was nice to read. shall we go to this place for our honey moon? how i dreamt in 1984 and erased the dreams later slowly. u don’t understand my pain. take everything seriously for your life. but your family is against this. what is your next plan? i like only real life. it’s much more beautiful and wonderful than narrated…………………..
Nice place to go to! its amazin to know this places feels grt…..
What a marvellous place! 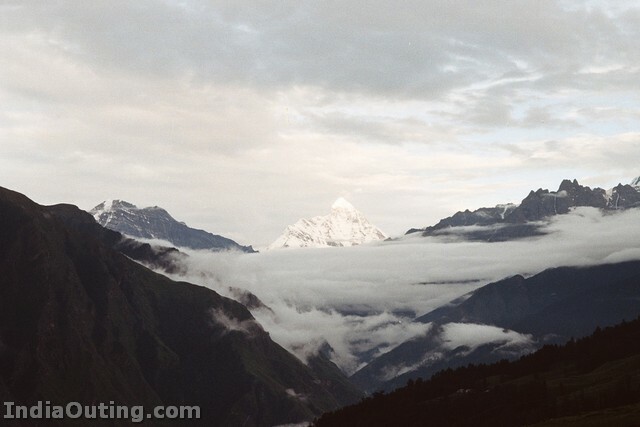 thanks for sharing this information – Murali, R.
I have visited Auli long back in 1993, It is a beautiful place to visit. Wow! I am feeling this journey when I am reading it.I can stay anymore and planning to move for this journey tomorrow itself. It is coolest photos in the hottest world, is very nice. Excellent to read and making me anxious to visit such a lovely place. Really jabarjast . jagya bahu jordar chhe. ek vaar java jevu chhe. Thanks 4 pic and information. Really interesting place. Thanks Priya for the forward. Fantastic.Whether I can go there as my age is 57? Such beautiful place within India. Why holiday to foreign countries??? nice place…ill plan to go with my family in coming Jan…thanks for sharing this photos. I think age is no bar; as a team we can go! very levely sceen from our great india. this is the true India…. it call JANNAT…. .. The charges of rope-way is INR Rs. 1000/- per head. not INR Rs. 400/-. it is no wonder our anciest sages selected himalayas for attaining Moksha and doing Tapasya. nice1. pl add map, hotel list etc. what a lovely place it is…………..!!! been there too god, u will forget the bad roads of haridwar once u r there. If u can drive and based near delhi, visit kumaon hills, u really dont need to go abroad the switzerland, the malaysias, the thailands etc are all here, we say but they are cleaner, remember we live here so are we not responsible fo rhat mess. Its really good picks. i have not seen jannat or heaven and may be perhaps i seen this anywhere.But i proud of my country where this type of place available. How to reach this place .Can you explain where is it in India? I would love go for my honey-moon to this place. Enquired of this place. Its awesome ! I have been to Switzerland last year, and to me, as I see the pics of Auli, it is not less than Switzerland. So you can say, ‘Auli is India’s Switzerland’. its really wonderful place to visit. thanks for details and photographs. I wish to go there and I will. Nice photograph.This is heaven on earth. A very good site in terms of written and video content. keep it up.congrats. It is really nice place to visit, could anybody tell me which is the best period to see ice and skiing? It’s a beautiful place… Thanks for sharing..
it’s great pleasure to me as my haneymoon was over there only. As we were the members of Clifftop Club. Worth seeing place. Its stunning, Allah (SWT) blessings on us humans. Ah; the land of the Naidoos!!! last year we have visited Badrinath and Joshimath but no body told me about this beautiful place.Hope to see next time. Awesome!! Forget Swiss Alps,Auli is the right choice. I proud of my country where this type of place available. 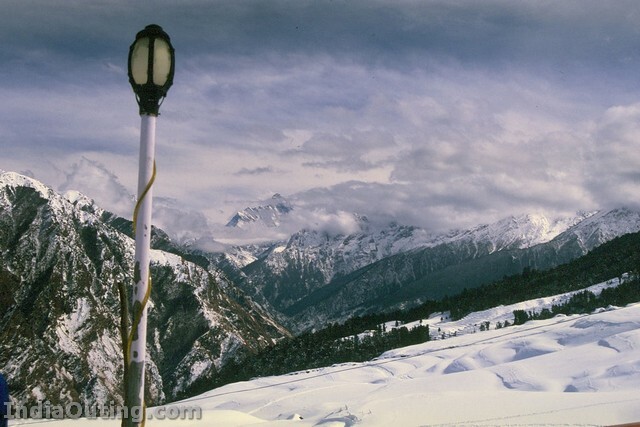 people who have already visited Auli are really lucky,what a lovely place it is…………..!!! It’s wonderful place to be there!!! its scorching hot in delhi and these pictures and all information decrease the room temp. very very cool description. 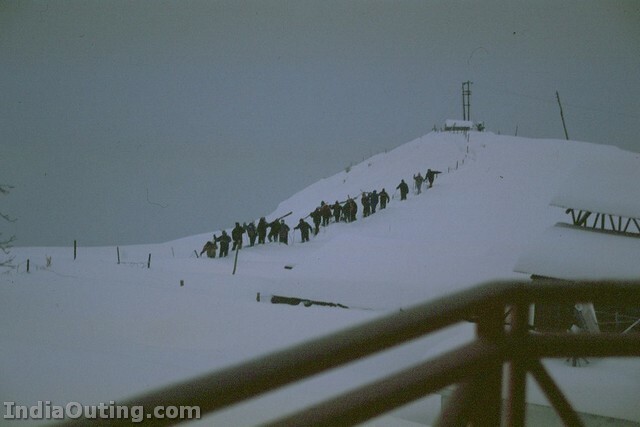 i have seen auli photos & in future i willlike to visit this sites. Was very nice to read through. Information is as if someone has just returned after learning the best things there. Arrey yaar, it was wonderfull i hv ever seen in india. it is very safe as compare to j&k. i vl definitely visit, in near future. If want to go to a place, visit Auli than any other places and find the heaven out there. Truly beautiful. Haven’t seen anyplace like this. Get a chance to visit Himalayas and visit Auli. That is just beautiful, I am South African and have been to India in 2009 however when i write to people in India I do not get any reply and thus feel as if my brothers and sisters in India does not want to communicate with Indian people outside India. Is there something wrong with us in South Africa? that is life is nature i want this place for i like it. iTs a rEaLLy bEauTy of nAtUrE. India is great.Priya thanks for taking us on to see excellent places in India and abroad. AULI city is one of the wonderful city in india.Milky snow is spread mountains.this visual is marvellous. I have seen Himalayas in Himachal Pradesh but this is equally nice place to visit. I will visit as early as possible. thanks its amaizing from greatest god iwish to be there will tou invite me? Really the best place to live in holidays. and wishing to be there at-least in summer time sure. Nice snaps,, somehow have to go there with my family..
which is the best time to visit. not realy to cold, but at the same time not to miss the beauty of the snow mountains. Hello Hi every body please see the photo graphs and if possible to go and enjoy with you girl friend and please farward the photo graphs to your freinds dont delay any body go to this place. ITS LOVELY TO VIEW THE SNOWY HIMALAYAN PICTURES AND ALSO TO KNOW ABOUT SKING..
realy good pics,want to visit once in a life, if get a chance to visit such a nice place, i will realy enjoy. it was a nice experience going through the narration and enjoying the scenic beauties. i wish i could reach here at the earliest..
oh good my friend know aboutthis place. he was a soldier, he told me about this place, his name sundaresharan nair. he has a great knowledge about kailas manasarovar. he suggested me about these places. I need only a call from yr family. I will do the other works neatly with Dhana’s acceptance. I can marry u at tirupathi temple with in a week. It is my last attempt. Dont hesitate. Otherwise u ask yr brother to talk to nagesh to talk about this. Or u call kalyani to talk with me. Ask her to talk generally. I will talk only about our marriage. wow… what a great placesss…! ITS A BEST PLACE FOR 2ND HONEYMOON.WE THANK GOD FOR SUCH BEAUTIFUL PLACES. PL.PROVIDE WITH MAP, HOTEL GUIDE AND SOME MORE DETAILS. This is really breathtaking!Nature in its wild and pure form!Would love to visit this place and enjoy the parsdise! 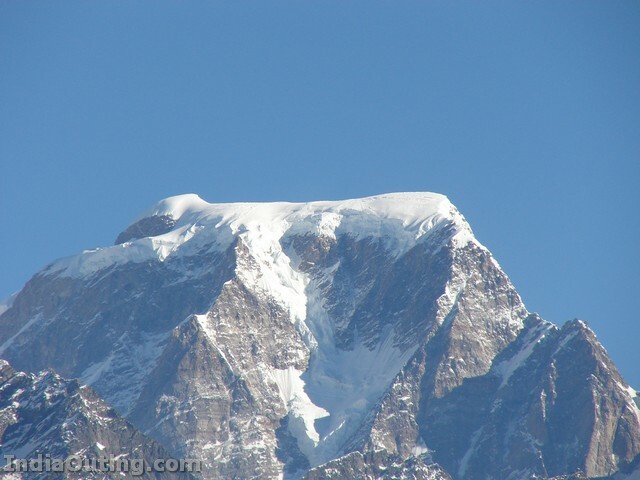 I have visited Auli three times. It is really really beautiful. If at all possible, you must visit. Just be prepared for some unhygenic conditions. auli is heaven on earth . we have not lot of money . if we have lot of money we can famous same as paris ,malesiya ,newyark , dubai .singapur .it dev bhumi only we can proud from our motherland . aapne to hamari yado ko taja kar diya.exelent. I mant 2 go there with my life partner after marriage to enjoy the real beauty of nature with real partner………..
What a spectacular view ! One must visit a heavenly sights like these ones. Great !!!!!!!!!! Thanks for reminding the Great Uttara Khand . I visited and treckked from Uttar Kashi to higher altitudes in those areas, Gangoti, and Dodital, Mountains etc. Great time we had. Really Uttarakhand is DEVA BHOOMI in true sence. I always wish I could come back every year. God willing ,I would like to have a log cabin of my own in those pace, and be there . India has every thing . We need not go to europe for snow, treckking ,ski, and mountain views. I will try to come to this place again and again. it is so nice, a discovery for me. I LIKE THIS .I WANT TO GO FOR THAT PLACE . mai tumhare sath yaha ja chahta hun…. miss u my life line… luv u sooo much…!! You have to go to joshimaath. 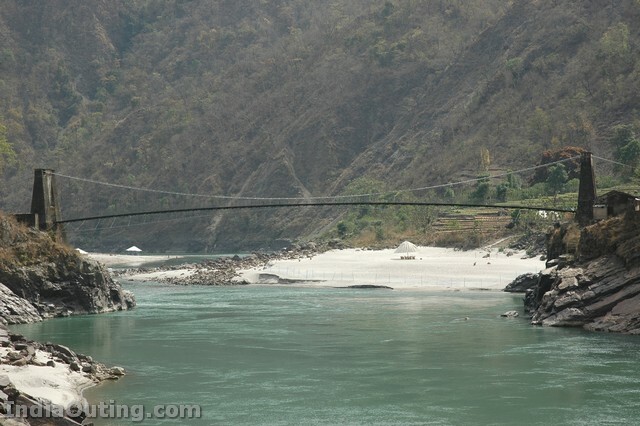 Its about 4 Hrs journey from Rudraprayag or 7-8 hrs from Rishikesh, or 8-9 hrs from Haridwar. Though its 7-8 hrs journey its difficult to cover in one day, as the roads are not good. I will suggest, from rishikesh or haridwar take a cab go to rudraprayag stay is some hotel ( we stayed in Manali Rosort, its very good), next day morning you start for Joshimath. 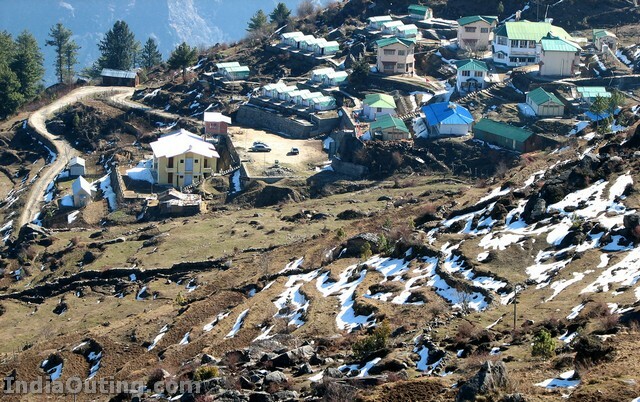 There is only one hotel in Auli which is very expensive, stay in joshimath, its better. One day/ or half day for auli is enough. Owesome wnt to be go there make a mind to go there for another honey moon. beauty nature are too good……. Marvelous Coverage of Auli as if Heaven has come on Earth. Only thing I would say “Seeing is Believing”. Just Once Visit and you will never forget sweet memories of Auli from your mind. Cool place….good photographs….. if the stay , training is affordable then … KYA KEHENA…. The very nice scenes which give peace to the mind. This is very beautiful & pleasant place to have visit in holidays. nice place. auli is look like heaven. We had been to Auli last August,its amezing hill station,one of the finest Himaliyan view site.Enjoyable trecking place in India,not to miss if u r fortunate to see this place.If get chance visit during Winter season. Last year i was there.If you want to see the GOD’S Nature you must vist to Auli.Of course Badrinath and Mana is also good place for visit. very nice place, one day i wil go there…..
Auli, just think about heaven……wonderful place …. Nice place and nice snaps. That is really amazing place in India.We proud to be Indian. its called incredible india… lets save our betufull nature …. its our real GOD.. nobody can stop himself saying wowwwwwwwwwwwww…. seing dis natural beauty of our nature….. It was a kind of nostalgia for me…my wife Radha & me started our married life here.I was an officer in the elite Indo Tibetan Boarder Police and posted in 2nd Battalion which is at a walking distance from Auli.For many years we were in Joshimath and Badrinath area.Thank you for the nice pictures! Oh! What a beautiful India! I am proved of Indian. Fantastic place to go on a vacation and enjoy. it awesome n heaven of the earth. Thank u for the wonderful photos. I will plan to visit such wonderful places of India by next year. Nice to share these visuals.INDIA is really beautiful & mahaan.Missing AULI after visiting HARIDWAR is a mistake. Once I was in India for 10 months, but I was not aware of this nice place.If I knew this place, I could have been there definitely. Thx 4 info. Beautiful, awesome… I have been to Uttarakhand (Dehra Dun) and certainly it is a picturesque state. And India has such diverse beauty that it is certainly life time venture to see the whole of it. I have visited Kashmir , Simla and massoorie, but Auli seems very attractive and challanging. I will make sure to include AULI in my next trrip to India. wow……………… Beautiful places all the wonder in India . God Bless The Gifted and thoughtful photographer. For an aged person (I am now 80)living in the South, these beautiful pictures take him back to his younger days which he had spent in the North of Bharath. Amazing place and beautiful pictures. This is realy very nice and attractive place. How about visiting the place in summer. I believe in GOD, only i spell it N-A-T-U-R-E. Nature beauty is art of GOd. Let’s feel the touch of God’s invisible hands.Really very beautiful. Amazing Photography.I would like to visit Auli & enjoy the scenic views there. Auli is beautiful place in india, the best season for skiing purposes is january and for touring purposes from May to October. 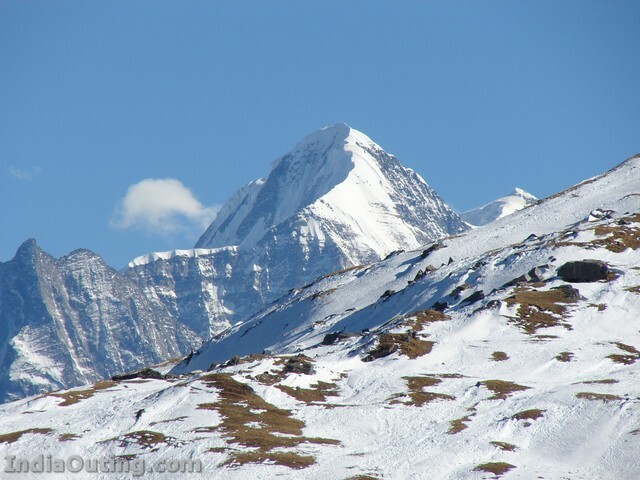 Auli is near Joshimath near Badrinath temple,and Hemkund Sahib, Velly of flowers. Must visit this place at least once in five year for change of life, etc. Auli is beautiful place,best season for skiying purposes is Januaryin winter and from May to October in summer. Auli(Joshimath) near Badrinath temple, Hemkund Sahib,& Velly of flowers. Must visit this place. We were back in memories as going to Auli was not in our plan but after reaching Haridwar we made changes in our plan & went to Auli & really enjoyed. Such a beautful heavenly place. Fun place with beautiful scenery makes it convenient to enjoy the holidays to bring inspiration. If you are a photographer, this is the perfect place to take amazing pictures. I’ll come to there, India. Natures’ beauty is always a wonderful mystery. Beautiful photos Nature is beautiful and charming.God is the creator of the Universe.He has not polluted any thing.Men has polluted the mother earth. Great even in pics. I’d been to Badrinath long back in’97. Had I known then, would have definitely gone. Perhaps it’s late for me now. Thanks for uploading. Soothing and alluring, a place to cherish the bliss of heavens on earth. How enchanting is all the coverage? Awakening the mode of seeing new frontiers.WISHES TO TOUCH THE ZENITH. JOYFUL FRONTIERS.TEMPTING CLIPPINGS.WISHES TO REACH THE ZENITH. I have been there and want to go again. really nice and peaceful place.